I'm not much of a tourist when it comes to traveling and I prefer doing things in my own pace and enjoying regular things like hanging out with friends, having lunch/dinner at a restaurant, shopping, partying, you name it, which is pretty much what I would do in any location. Which makes me wonder why I'm even writing a post called "what to see in Tokyo" when I literally have no suggestions for you to give :D Well, in the end, this post is more like what I saw, which places I visited and where I liked to hang out while being in the capital of ~the land of the rising sun~. 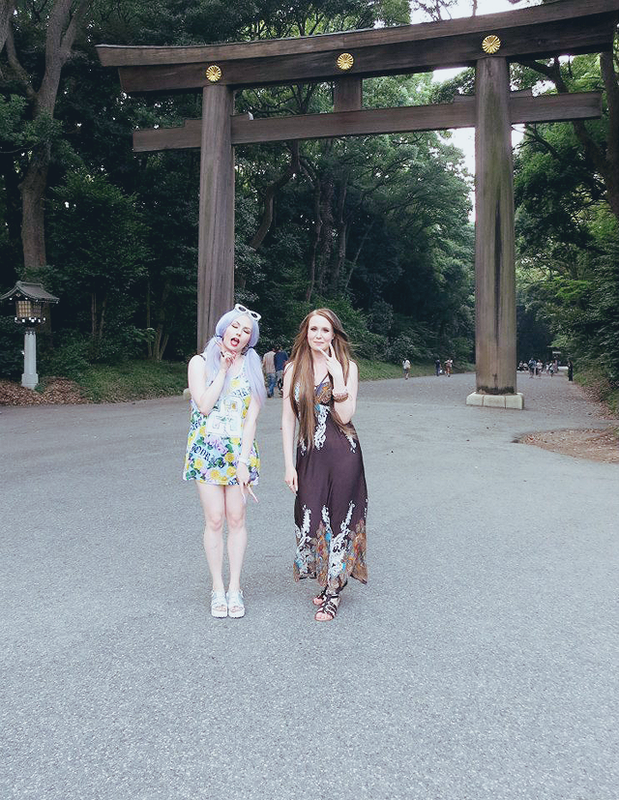 Well, there is one tourist-y like place I visited and it's the 明治神宮 (meiji jingū = meiji shrine) in Harajuku (see the pics above). Tiina and her friends wanted to go check it out, so I decided to tag along. Although, the third picture shows how far I got before I had to run back from the forest to see Jojo and her friends whom I had agreed to meet with later that day. Went better than last time anyway, when I didn't even cross the gate, haha. Maybe I'll actually get to have the full experience next time lol. My main districts to hang out at in Tokyo were 渋谷(shibuya > fashion & night clubs), 新宿(shinjuku > bars, night clubs and shopping) and 原宿(harajuku > youth culture & street fashion) and I bet nobody is surprised about that. The pictures above are something I snapped while walking around Shibuya by myself and it was probably the only day I had my big camera with me. 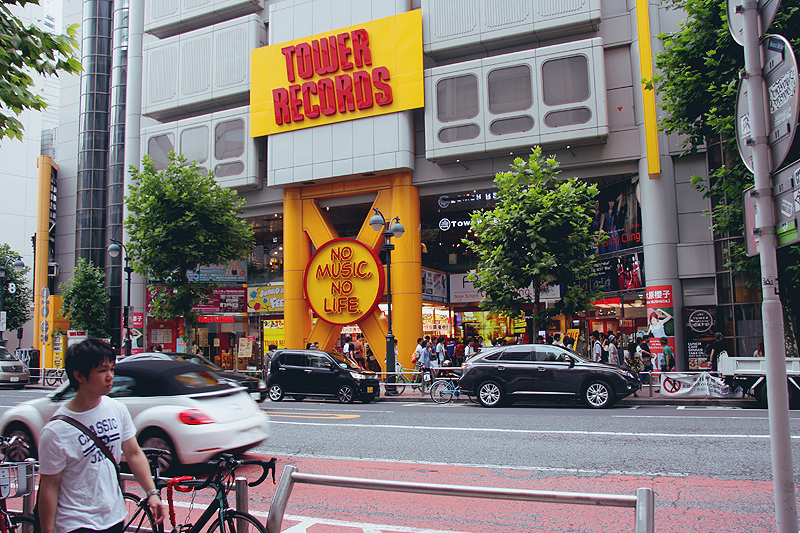 In the second pic is Tower Records, a huge 9 floor music store where I did some cd shopping and bought some newer cali≠gari mini albums. My favourite place to buy visual kei cds is Closet Child in Harajuku though, because you can buy used cds for so much cheaper than new ones. And to japanese people "used" often means a new one that still has the plastic wrap on it, lol. In the end I bought seven albums/singles in total during my trip. 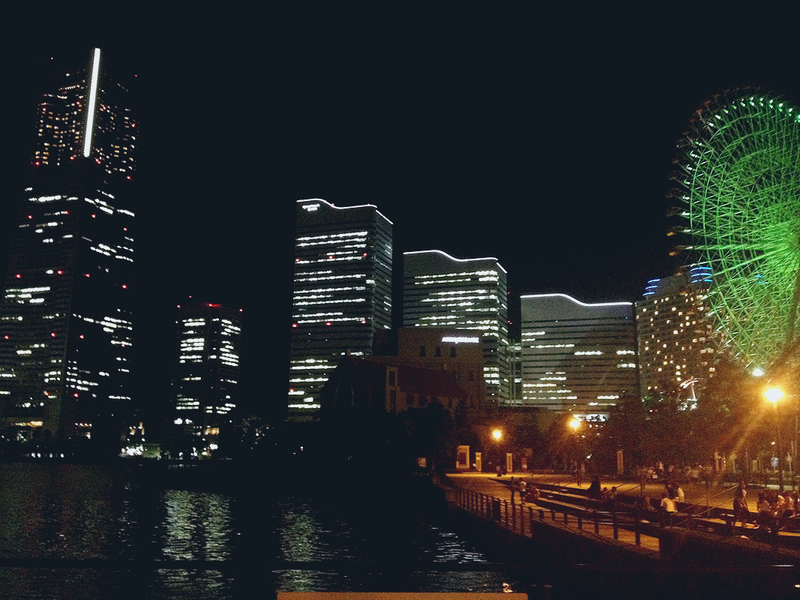 One place I also have found myself at (surprisingly often too), is お台場(odaiba). I mean, sure it has a few big shopping malls, livehouses and what not, it's still a bit.. mehh, in my opinion. The Venus Fort mall is pretty (see the pics from my first trip: 1, 2, 3) but the shops are not really for me. In front of the Venus Fort mall you can also find 大観覧車(daikanransha), a big ferris wheel from where you can get a great view of the city. Last time I rode it during the day time and now me and Anna rode it during the night! My iphone pics don't do any justice for the view but it was great. Odaiba also is one of the few places in Tokyo where you can go to a beach of some sort, not to swim but to hang out. I've seen some people letting their dogs play in the water but that's pretty much it. Where do the people of Tokyo go if they want to go swimming? That I have absolutely no idea of. 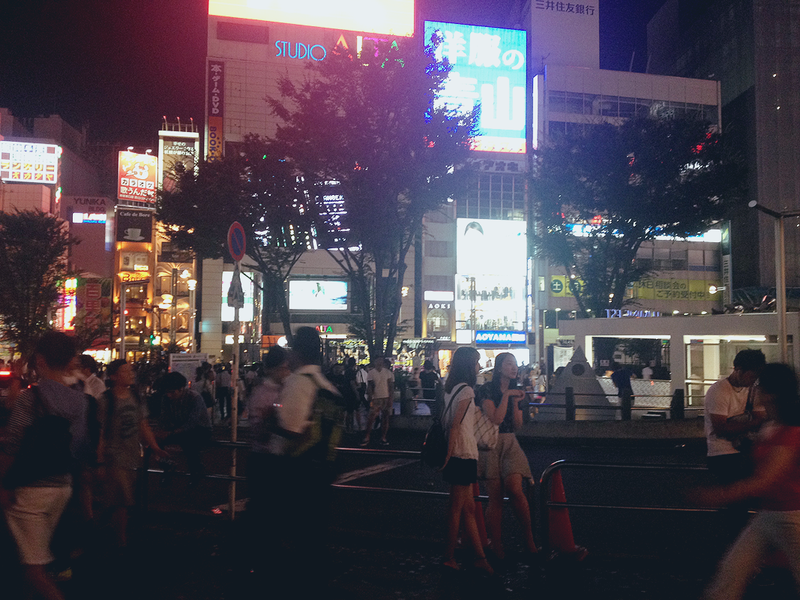 Here's Shinjuku by night and it's known for it's flashing lights and signs, especially in 歌舞伎町(kabukichō). But then again, which part of Tokyo isn't? In the third pic you can see the east exit of Shinjuku station, which was the usual meetup point for me if I was supposed to meet friends in Shinjuku. The station was also one of the few places where I managed to find free wifi, so it was also a good place to stop at if you wanted to check your social media accounts during the day. 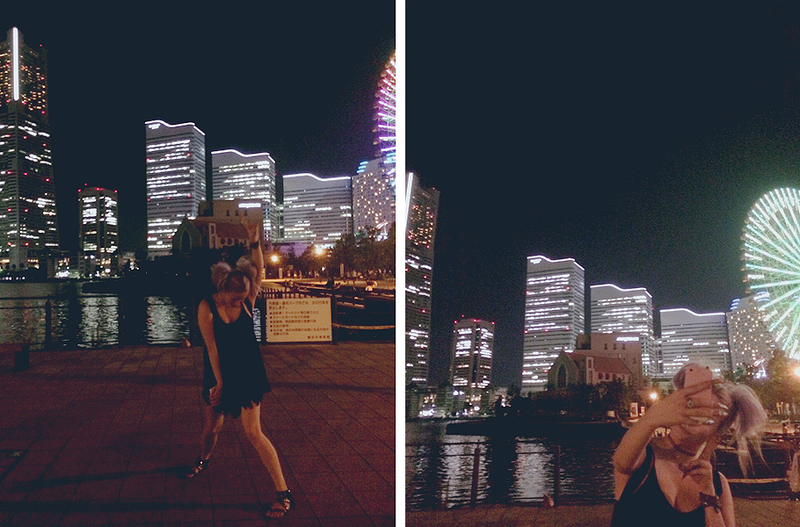 And lastly, 横浜 (Yokohama), where me and Anna ended up going one night when we had nothing else to do. It was really easy to get there, because Yokohama/Minatomirai was the end station of the same train route I used daily to get to my favourite districts from Toritsu-Daigaku. I'm actually a bit bummed, because when we arrived to Yokohama, there was tons of people who were wearing yukatas, arriving to the station and it seemed like there had just been some matsuri -thing going on which had ended just before we got there. Would've been cool to get to witness it but we had no idea such thing was happening in the first place. Yokohama was really pretty, but since we couldn't figure out anything to do there, we took a train to Shinjuku and the evening turned into bar hopping. 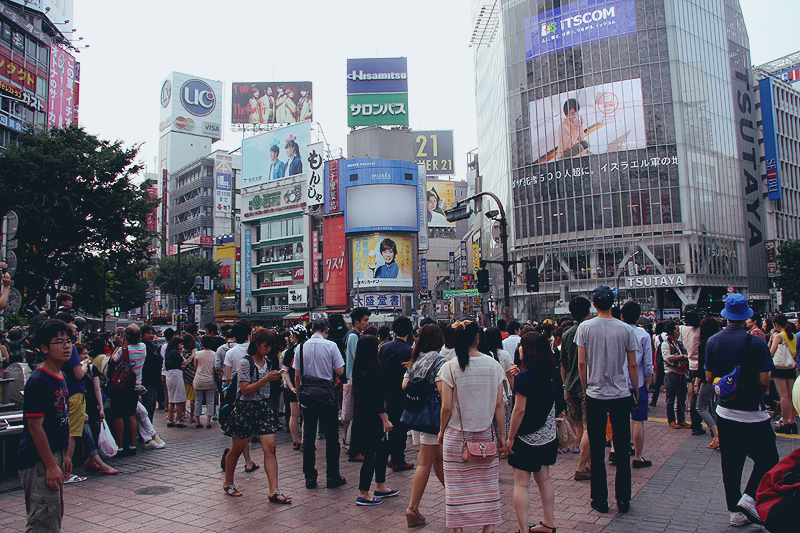 What are your favourite districts in Tokyo? Or where would you like to visit the most? Btw, I'm actually going back to Tokyo in September! I'll try to get the posts about the previous trip out, before I go again. I have two posts left to do, so that should be possible. This time I'm traveling with my friend Paris and we're staying for 5 weeks (the exact dates are 17.9.-22.10.). Is any of you going to be there at the same time? If so, let me know! 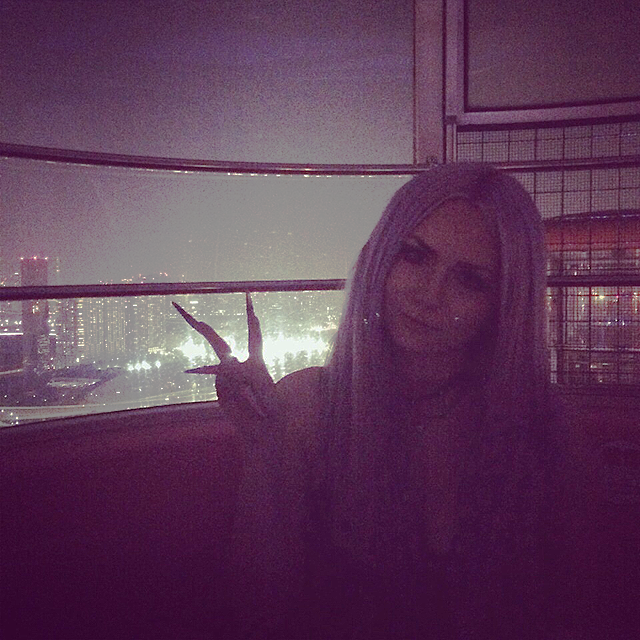 My favorites are Harajuku and Koenji. I like Koenji because it has those crazy clothes shops just like Harajuku but there's like no people, so it's much more comfortable. I love views like that, it's what I'm going to start with when I get to Tokyo. ohhh i live in tokyo and would love to meet you one day! 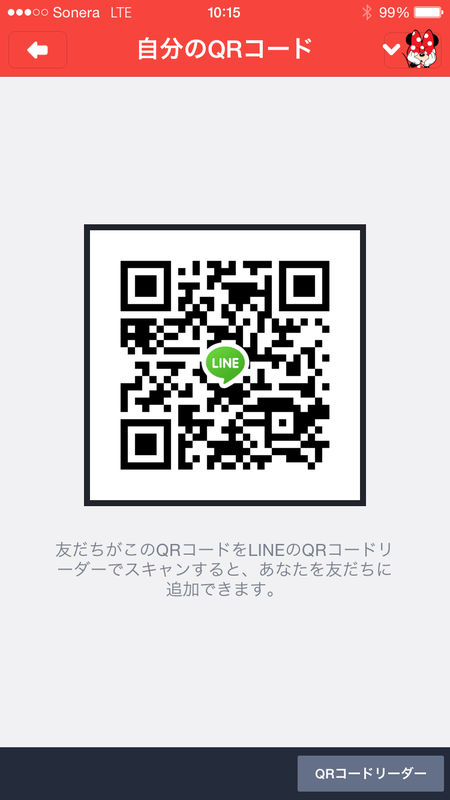 my LINE account is really stupid and i can't add people cuz i don't have a docomo account. the only way i can add people is if you can screen shot your QR code plz? ah, i see! sorry for the late reply, i hope you'll still see this. look forward to talking to ya! 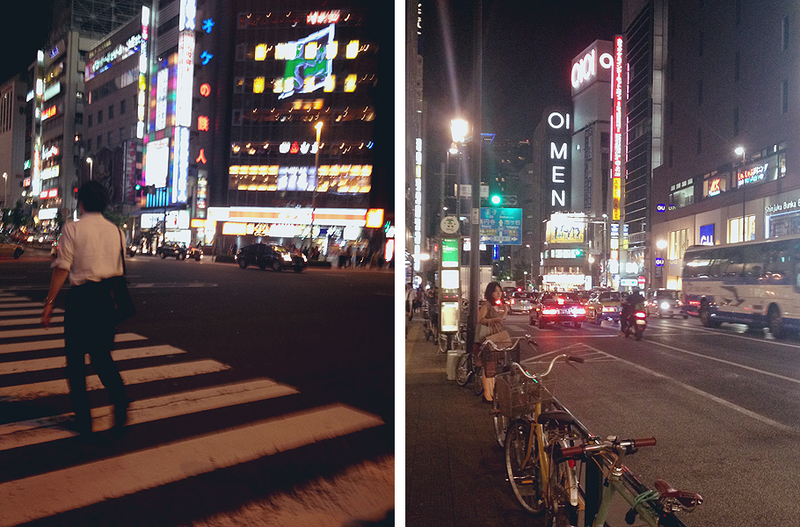 I like Daikanyama and Shimokita-zawa, but the places you mentioned are always fun too. 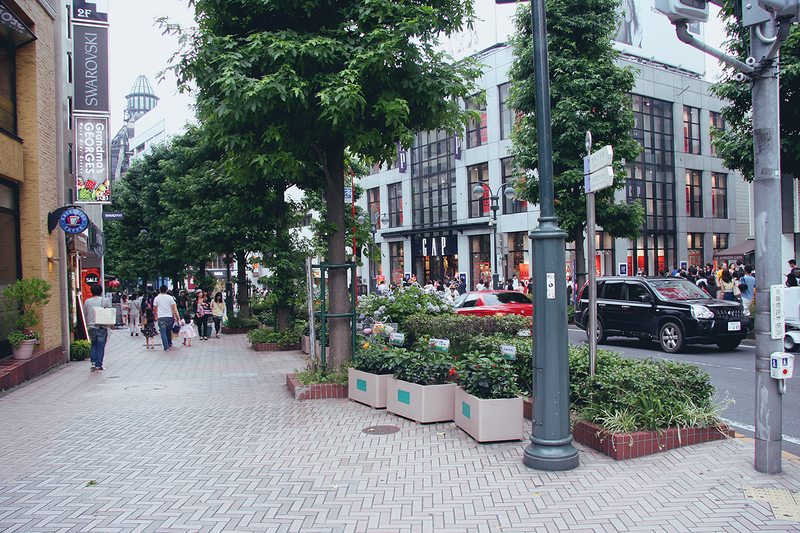 ooh, daikanyama was actually on my train route last time so i went by it everyday, but never checked it out... i'll see if i can do that next time! Heippa! Löysin sun blogin sattumalta kaverin kautta ja oon lukenu nyt joku miljoona hiuksiin meikkeihin jne liittyviä postauksia ja oot kyllä superkaunis ja meikkaat sikahyvin!! Yritin löytää myös kaikkien tägien ja hakujen avulla, mutten löytänyt mitenkään, että miten oot tehny ton bannerin? Siis että sun kuva on tossa otsikon edes ja vaihtuu! Haluaisin alottaa oman blogin mutta en osaa näitä juttuja yhtään, eli olisin superkiitollinen jos voisit tyhmälle selittää :( ja anteeks jos sitä on kysytty jo monesti en vaan löytänyt sitä tietoo mistään! haha, eipä mitään :D mainitse mieluummin ton muikkelin blogi jonka sen koodin on tehnyt, niin menee creditit oikeeseen osotteeseen!